The Floating Point Engine is a card that adds a maths co-processor to the IIGS (and IIe) the upshot of which is for any GS/OS based apps that make use of Apple's SANE library will benefit from increased speed (as long as the INITs from the included driver disk are properly installed). AppleWorks GS spreadsheet module, Quick Click Calc, GSNumerics and Symbolix should be the programs most to benefit. 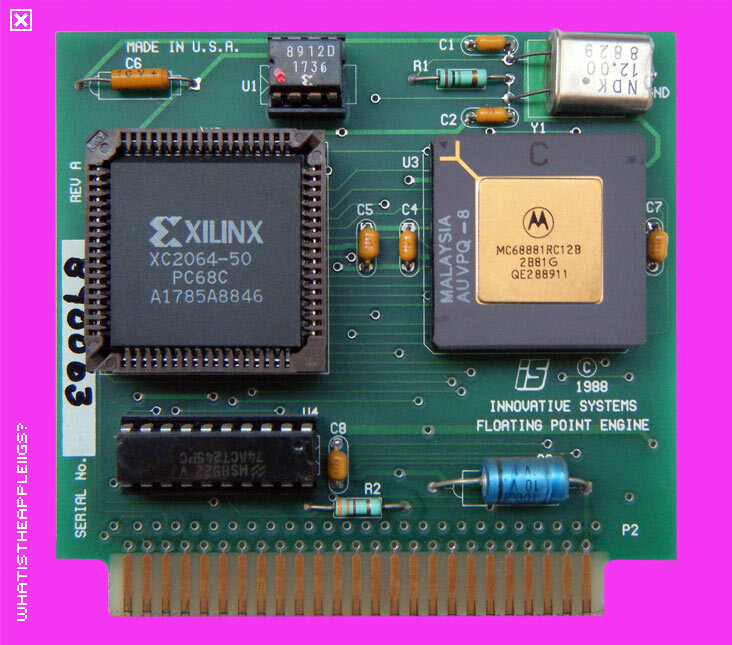 There's also a patch to get 8-bit classic AppleWorks, as well as some programming examples as to how other 8-bit apps can be designed to take advantage of the card.